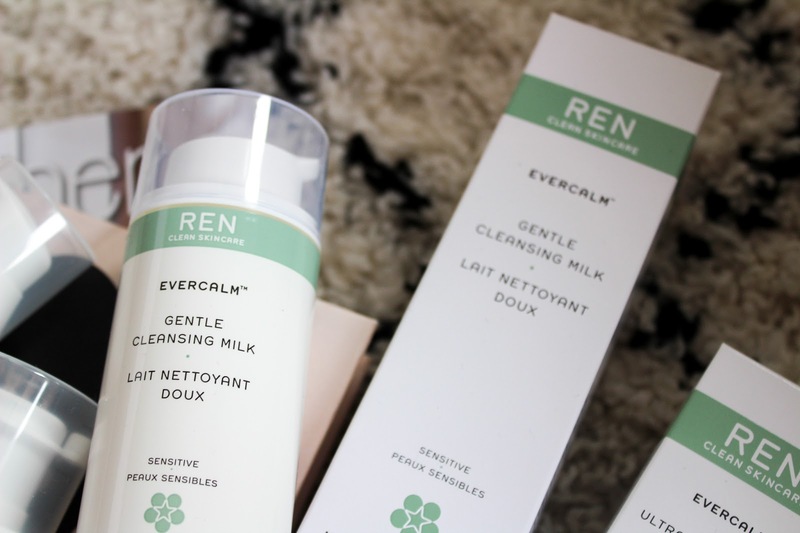 I have three of the key products from the Ren Skincare Evercalm range that I've been using through all the beautifully hot weather we've been having so my skin stays soothed and at its best. 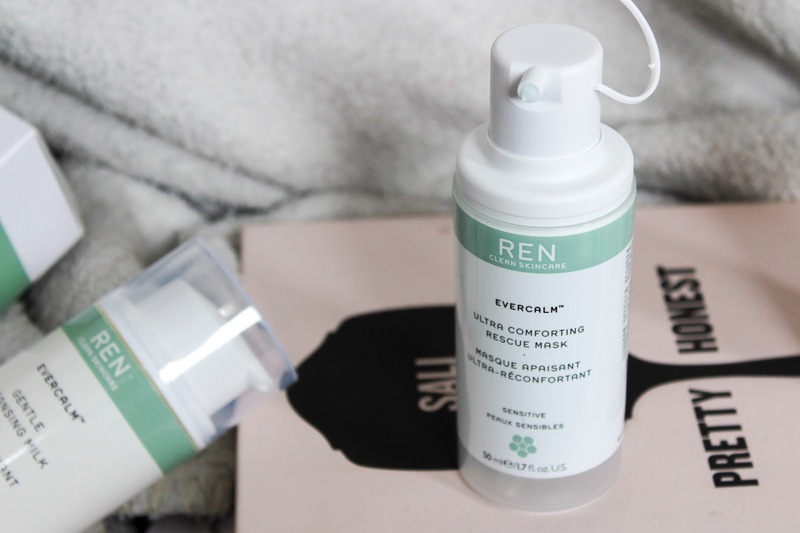 As I'm writing this, I have the Evercalmn Ultra Comforting Rescue Mask (£30.00) on my skin after a night of little sleep and a day chasing after a very fast baby. I adore Ren masks anyway so I knew this was going to be a new fave of mine. 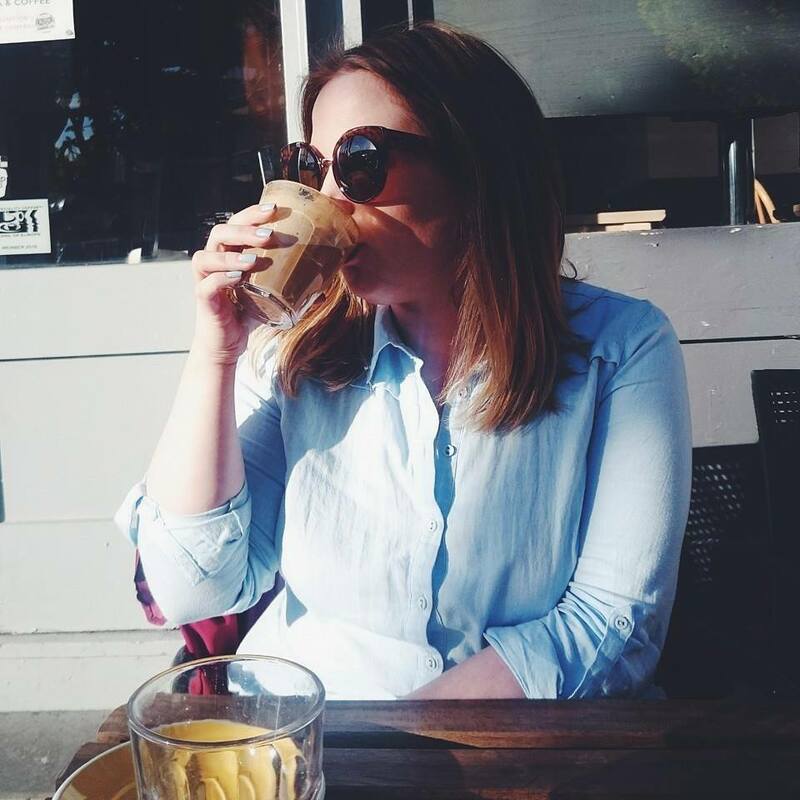 The moisturising mask soothes redness and helps settle irritated skin, it leaves my skin incredibly soft and just happier which is what I want to see from a mask. It contains natural bio actives such as white mushroom extract which reduces irritation, cranberry seed oil whihc is rich in omega 3 and vitamin e as well as lingonberry seed oil which is rich in omega 3 and 6 to help reduce sensitivity and help the skin barrier. It's a really great mask and one I'll be keeping in my stash. 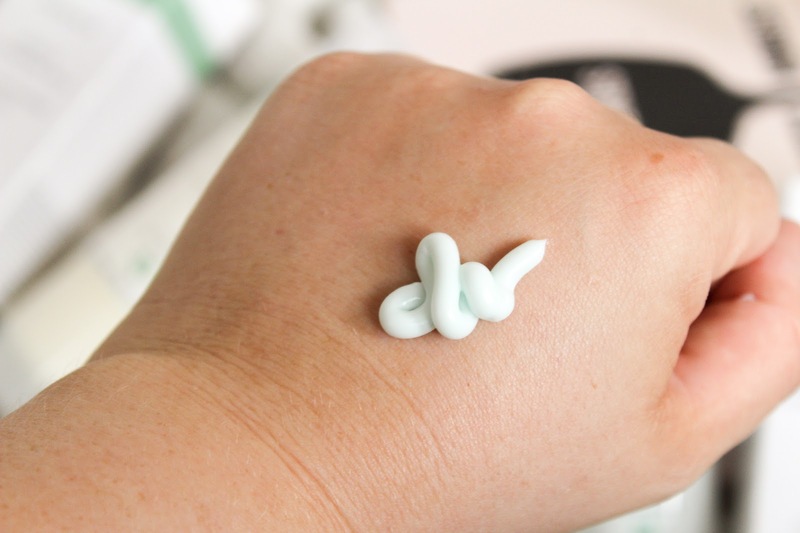 The next product is a cleanser, something we should all have in our skincare cupboard! 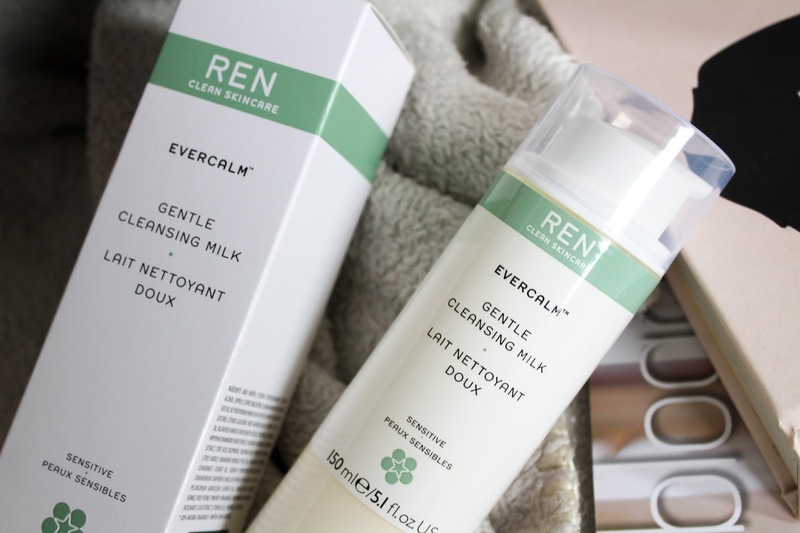 The Ren Gentle Cleansing Milk (£19.00) is a little different to what I usually use as I've always preferred a really creamy cleanser but this is a lovely alternative. It helps skin stay calm and clean in no time at all. The silky formula helps remove the days grim leaving refreshed skin that is ready for the rest of your skincare routine. Containing blackcurrant seed oil which is high in omega 3 to sooth the skin, seabuckthorn berry oil is full of omega 7 to soften any dryness and the fennel seed extract is high in antioxidants to help element pollution damage. It's a great product to have as a starting point in your routine. 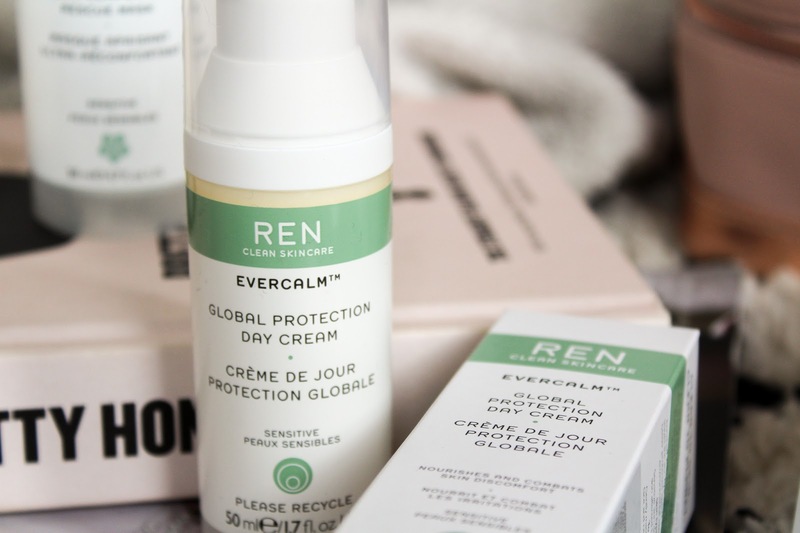 The last product I've been using is the Ren Evercalm Global Protection Day Cream (£32.00) which is designed to repair the skin's natural barriers while also calming, hydrating and soothing sensitive skin. 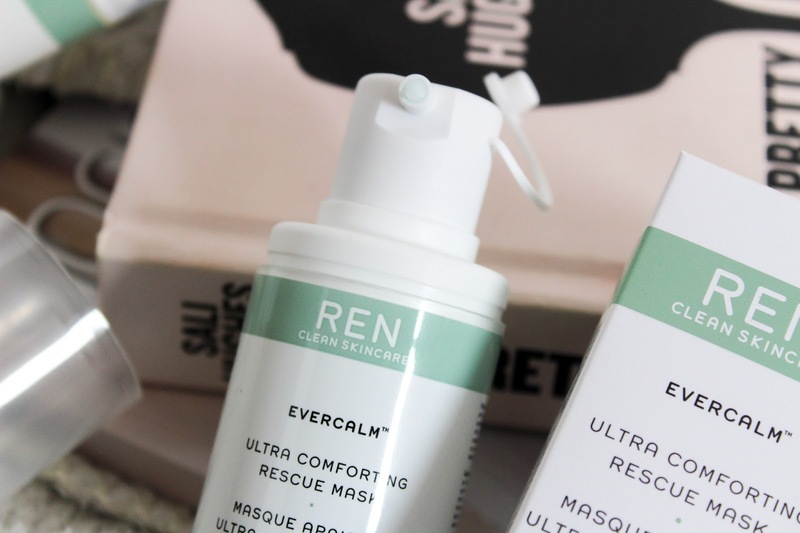 The three products used together are like the three musketeers of the Evercalm range and my skin is loving the rewards. After using the cleansing milk, just apply the day cream to skin at the beginning of each day. It leaves my skin feeling soft and nourished and after just a week of using it, I started to notice the red patches I've been suffering with on my skin already reduced. The cream is quite light, absorbs easily and doesn't leave a tacky residue. My foundation applies really well on top of it too. It's a great little cream that my skin very clearly loves thanks to containing blackcurrant seed oil, seabuckthorn oil and calendula which helps to repair skin. I think once you add in the Evercalm Anti-Redness Serum (£32.00) you've got yourself a really fabulous skincare routine. 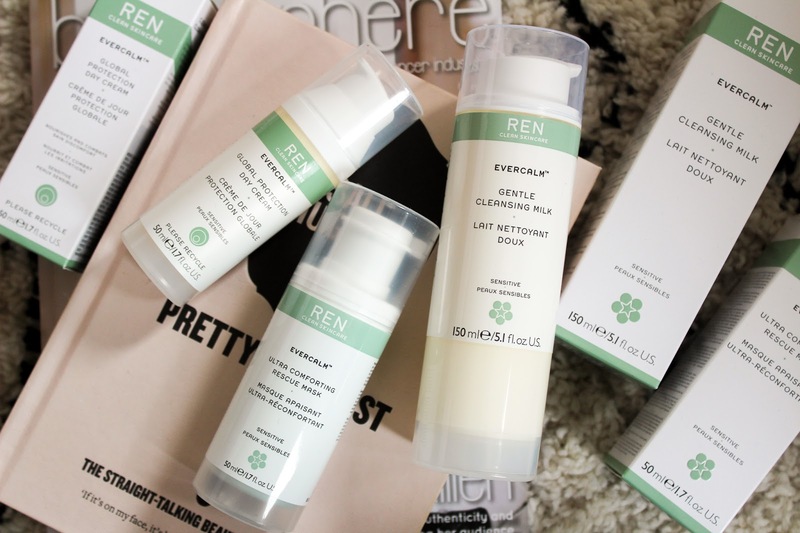 Ren Skincare is available online and in store and if you have any queries, their social teams are really helpful. Why wait any longer to find your ideal skincare routine? I LOVE this, I have been using it for a good few weeks now and I am loving the way it makes my skin feel! This range is so good! Have you seen the new Overnight Balm? The cleansing milk sounds amazing I have super sensitive skin so sounds right up my street!